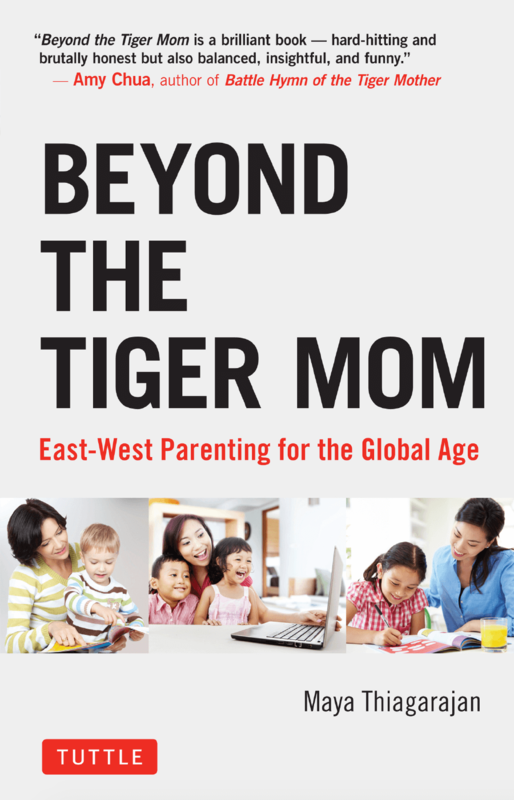 Beyond the Tiger Mom: East-West Parenting for the Global Age is a new book by Maya Thiagarajan that explores how to blend the best of Western and Asian approaches to parenting and education. How do Asian parents prime their children for success from a young age? Why do Asian kids do so well in math and science? What is the difference between an Asian upbringing and a Western one? Why do some Asian mothers see themselves as “tiger moms” while others shun the label? How do Asian parents deal with their children’s failures? Is it sometimes good for children to fail? These are just a few of the compelling questions posed and answered in this fascinating new parenting book. Thiagarajan examines the stereotypes and goes beneath the surface to explore what really happens in Asian households. How do Asian parents think about childhood, family and education—and what can Western parents learn from them? Each chapter ends with a “How To” section with specific tips for parents to aid their child’s educational development both inside and outside the classroom. Maya began her teaching career with Teach For America, where she taught at a public school in Baltimore City for two years. She went on to teach high school English at some of America’s most prestigious independent schools. After a decade of teaching in the US, Maya moved to Singapore and began teaching at The United World College of South East Asia (UWC). Readers can connect with Maya on Facebook, Twitter, and Goodreads. For further information, to request a review copy, or to set up an interview or appearance by Maya Thiagarajan, please contact Kelsey Butts at Book Publicity Services at Kelsey@BookPublicityServices.com or 805.807.9027.